It's that time, people. Oscar time! Ever since I was a kid, this has been my Super Bowl, the televised event I wait for all year, every year. What I originally thought was sort of a dull year for movies took a late turn into greatness. The Best Picture lineup is riddled with tough stories with plenty of edge to match. 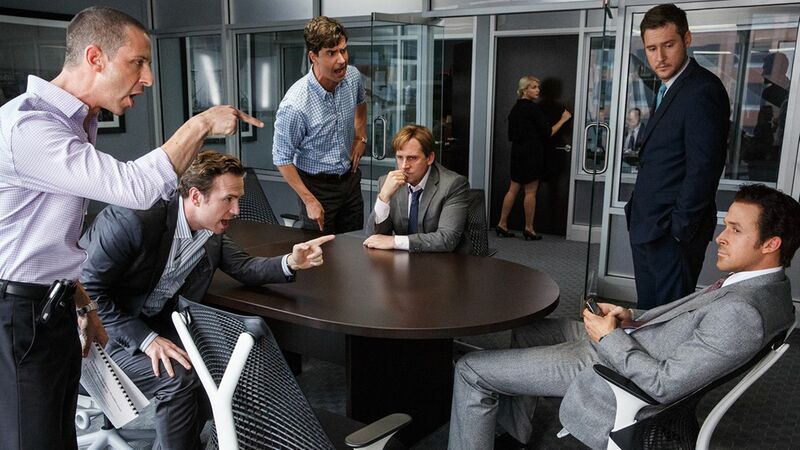 The scathing truths of The Big Short and Spotlight seem to have the momentum for the big prize. But what about the darkness of the survival epics: The Revenant, The Martian, and the universally praised Mad Max: Fury Road. The smaller scale of Room doesn't bode well, but it's packed with more emotional power than any of them. Brooklyn reminded us that plain, simple, true love is not dead, and Bridge of Spies finds two masters at work together again...to perfect effect. I can't think of a more solid Best Picture lineup, though Creed should be on the list. Either way, none of them are misses. I loved all of them. This is not a complete list of all the categories. I chose to focus solely on the ones where I can have a real say, an actual informed opinion. Plus, I know you don't really care who wins Sound Editing or Makeup, though the makeup work in The Revenant is core-shaking. The anger of The Big Short. I'm so lost on this one. The Revenant has some solid buzz for sure. Spotlight is the critical darling alongside Mad Max: Fury Road. The rest have small chances to take it. The Big Short is the winner, I think. It is the most important film of the year, for many reasons, including its purely amazing genre-blending. It would get my vote. Plus, it took the Producer's Guild, which is a solid indication of the winner in recent years. Nobody but Leo stands a chance. Fassbender is the only one close, and I'd say he's a country mile behind Leo. He was just that good. The look on Saoirse Ronan's face. It seems the consensus is Brie Larson, and I'm okay with that. Rampling and Blanchett got more of the latest critical praise, but I don't think either will happen. 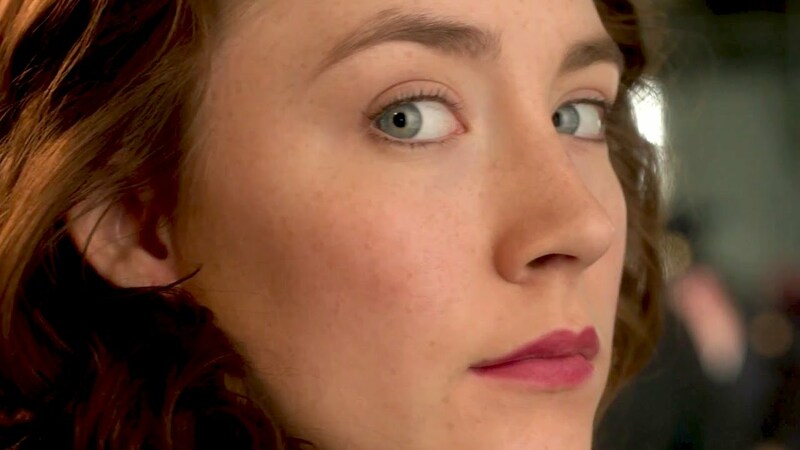 I would go Saoirse Ronan. She reaffirmed the power of simplicity so lacking in performances these days. Stallone is getting the lifetime achievement win on this one. I'm cool with that. This is a stacked category. All of these are fully deserving performances. I'm partial to Rylance's subdued turn in Bridge of Spies, but, on the other side of that coin, I also love Tom Hardy's maniac-level villianry in The Revenant. I haven't seen The Danish Girl, so I can't weight in on Vikander. She should be up for Ex Machina. Jennifer Jason Leigh might steal this thing, but all signs seem to point to Kate. Her performance was pretty much perfect. 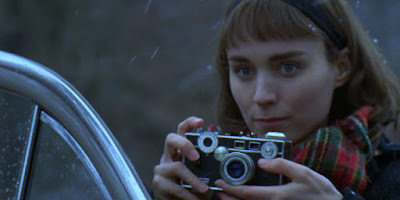 My vote is for Rooney Mara though. I love what she did in Carol. She's just so natural. Perfect for that role. So, I see this as a race between McKay and Iñárritu. George Miller may have a chance, since that is a directorial vision so perfectly executed. That can be said about the others as well, though. McCarthy made a solid movie, but his direction is lacking in panache. McKay is full of that and humor and anger. He gets my vote. I think Iñárritu takes it though...for nothing other than his unabashed hubris in even making such a film and making it perfectly. The co-writer/director of the year...Adam McKay. It's clear that all of these are beloved adaptations. The most original of these adaptations, though, is the work of Charles Randolph and Adam McKay in adapting Michael Lewis' exposé of the banking practices that tanked the housing markets in 2008. The Big Short all the way here. I find myself wondering if Straight Outta Compton gets the sympathy vote after all this #OscarsSoWhite stuff. I haven't seen it, so I can't judge. At the same time, this is most likely where Spotlight wins, and, if it does, it may just be the Best Picture winner as well. As much as I loved Ex Machina, specifically the writing, for me, Inside Out is the best screenplay on the ballot...period. 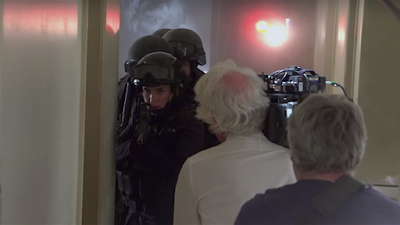 Light in the lens of Roger Deakins. This lineup is unreal great. Every one of these gentlemen are deserving of the prize. Lubezki is going for three-in-a-row and has the juice to do it. The Revenant is astounding to look at, despite whatever trickery was in play. Personally, I feel it is Deakins' time, and that's who gets my vote. 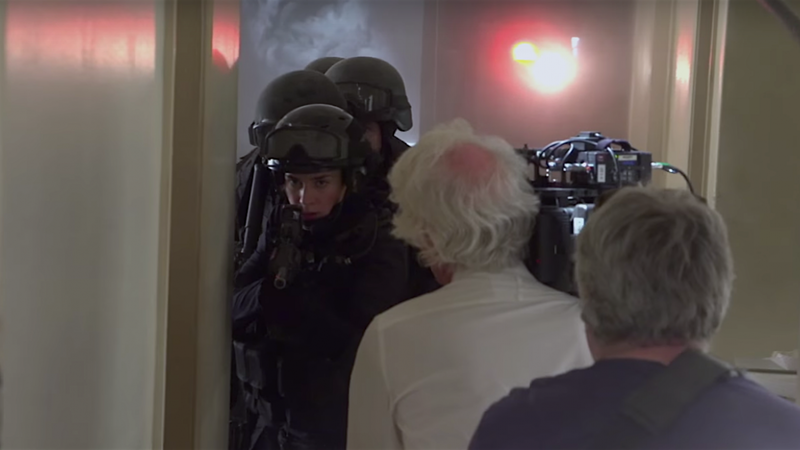 Sicario is a brilliant film, mostly thanks to Deakins. I've only seen Inside Out and Anomalisa. Despite the critical praise for Charlie Kaufman's oddly charming stop-motion work, this is clearly Pixar's year again. Inside Out will take it, and I want it to. Can John Williams get another Oscar for a Star Wars film on his fiftieth nomination? 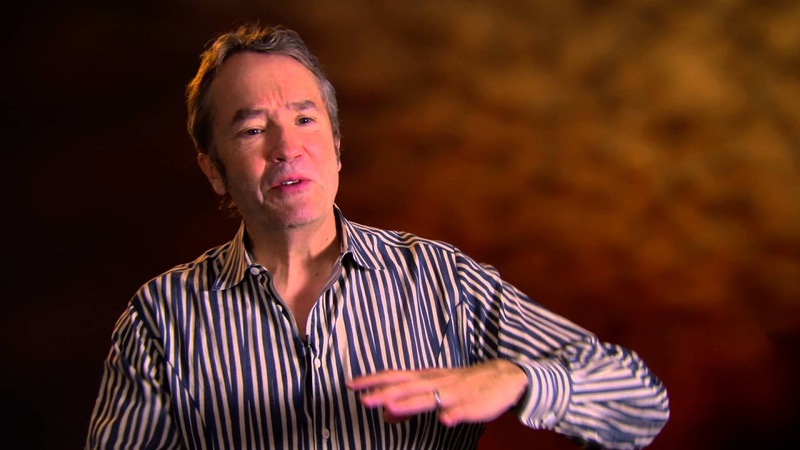 Or will it be Carter Burwell's gorgeously understated work on Carol? What about Morricone? His work was about the only thing good about The Hateful Eight. Really tough call, but I think this one goes to Burwell. That score is undeniably the best of the year. I'm a huge fan of Michael Fassbender; he did a great job in Steve Jobs, but Leo deserves to win. All those feeling he managed to deliver without even talking, that's the real acting. I don't care much for Best Actress - Rooney Mara should have been in there - but I just hope Lawrence doesn't win; I love her, but the other performances are so much better than hers. Supporting actress, Rooney Mara deserves to win, but I'm quite sure Kate Winslet will. Vikander did a good job in The Danish Girl but her performance in Ex Machina is way better. I haven't seen Creed, but it seems like Stallone deserves to win, and I'm sure he's going to win. I'd love to see Rylance or Hardy with the Oscar though. I'm afraid Spotlight is going to win Best Picture. I'll keep my fingers crossed for The Revenant and Mad Max. I'm sure Inside Out is going to win Best Animated Picture. Anomalisa is great and the only that could give Inside Out some real competition but like you said this is Pixar's year. Looks like you called BP, and how 'bout those supporting actor shockers!? I think the Academy has a Bale fixation. Glad Morricone got his. Not my favorite score of the year, but it really did make that movie. Best Picture - The Revenant (It's definitely looking like the frontrunner now. And it was a brilliant film). Best Director -Alejandro G. Iñarrítu (He's proven he's one of the best directors in recent memory. He deserves it). Best Actor - Leonardo DiCaprio (He needs that Oscar. Enough said). Best Actress - Brie Larson (I wish it was Saoirse Ronan. I wish Room would've came out last year so Saoirse could win this year. I wish so many things about this. But Brie Larson is gonna win). Best Supporting Actor - Sylvester Stallone (Stallone was excellent. If it were up to me, I'd go for Christian Bale. 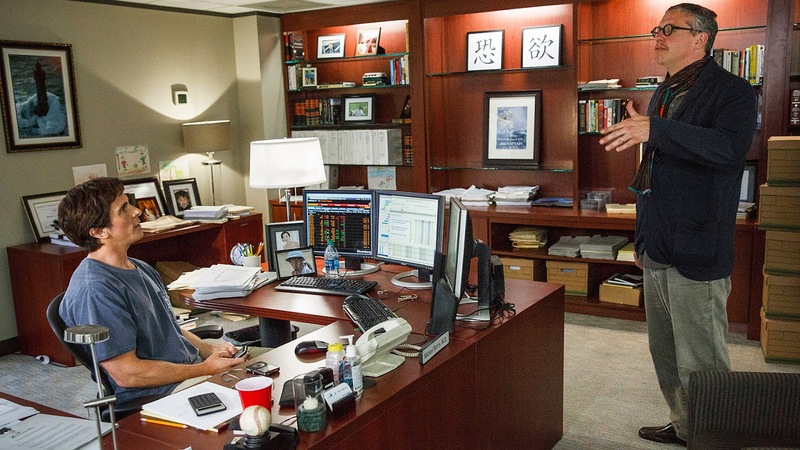 I think his performance in The Big Short was the best one of the nominees. I understood his character so much. I felt an emotional attachment to his character, like I bonded with him in some way). Best Supporting Actress - Kate Winslet (Her performance in Steve Jobs is in my top 3 favorite performances of hers). Best Original Screenplay - Spotlight (I wish The Hateful Eight was nominated here. That would be my pick. But Spotlight is going to win). Best Adapted Screenplay - The Big Short (The screenplay was wickedly amazing). Best Cinematography - The Revenant (It's Emmanuel Lubezki. Of course he's gonna win). Best Film Editing - Mad Max: Fury Road (This is going to destroy the technical categories). Best Animated Feature - Inside Out (The best Pixar movie ever made). Best Documentary Feature - Amy (Haven't seen it, but it looks like it will win. I just wish Where to Invade Next was nominated. It's the best documentary of Michael Moore's career). You did about as well as I did. Good picks! I disagree on Best Supporting Actress and Best Picture. I think Vikander wins there although she doesnt deserve it and The Revenant wins BP but other than that, agree on just about everything. You called Vikander, man. I didn't see that one coming at all.